“Please don’t frighten the horses and do not hurry!” These words echo not only as a whimsical motto but as a reminder of the real goal held at Highland Ranch Guest Ranch, Northern California’s most beautiful destination for refined relaxation and impeccable hospitality. A working ranch for over 150 years, Highland Ranch became a guest ranch in 1950 and finally about twenty-five years ago, George Gaines took it over devoting much of his later life to planting trees, flowers, and making improvements on a spectacularly breathtaking haven amidst majestic redwoods, cedars, and pines in the gorgeous Anderson Valley. Guests at Highland Ranch have the best of both worlds to enjoy whether continuous activities or doing ‘simply nothing’ are their preference. With an all inclusive plan, nothing goes unattended to and no stone unturned in the hospitality department. Breakfast, lunch, and dinner are enjoyed by all the guests in the main ranch house with complimentary beverages and wine served at meals. 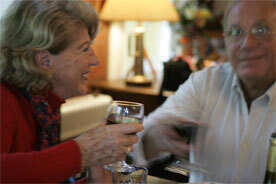 A great time to socialize and make friends, mealtime at Highland Ranch is both a highlight and true pleasure. With gourmet comfort foods served in huge portions and beautifully presented, the cuisine is top notch. Specialties like melt-in-your-mouth pot roast, homemade gourmet pizza, fresh homemade salsas, salads, jams, jellies, fresh squeezed juices, local fruits and vegetables, made to order breakfasts, and desserts, all served with local wines are common favorites. All day and every day, homemade country style lemonade and nuts and refreshments are available in the main cabin for between-meal snackers or hungry riders. Typically every morning at breakfast, many guests sign up for the day’s two big horse back riding events, massage therapy, clay pigeon shooting practice, or they may elect to take the day as it comes stretching out in a hammock to savor the coastal breezes coming through the trees, picking fruit from the orchard, fishing in one of the peaceful ponds from dock or boat, or exploring one of hundreds of miles of hiking trails. Others may decide to rock in a rocking chair on one of the cabin’s decks with nose buried in any of the hundreds of excellent books or magazines for loan or to sit in the game and music room tickling the ivories or strumming a guitar or banjo. 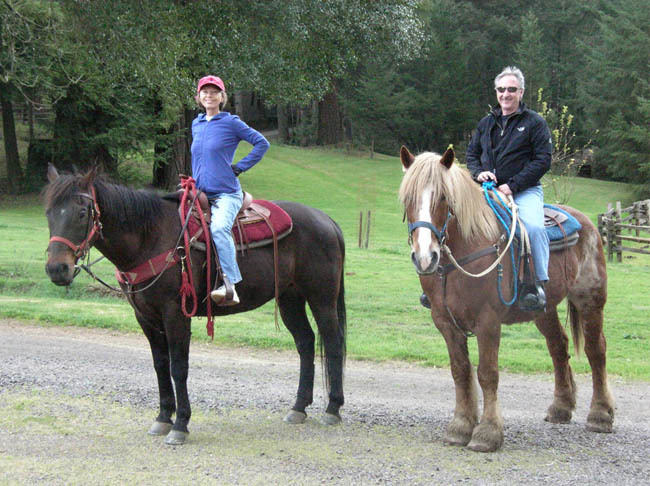 The talented wranglers tailor trail rides on the more than 500 miles of trails leading through the Hendy Woods State Park and Navarro River, to the riding and comfort levels of all ages and abilities. Whatever one does to pass the time, one thing is certain, that it’s done at a leisurely pace with no commitments except to congregate for the next meal when the dinner bell rings or to present oneself for a delightful massage from the on-call massage therapist. If a guest chooses to clean and fillet their fresh catch of the day or to turn it over to the kitchen staff, the chef will prepare the catfish or other finned pond dwellers to everyone’s delight. It’ll likelybe enjoyed at the nightly cocktail hour where guests mingle on the deck and living areas of the main ranch house before dinner to enjoy refreshments and cocktails with appetizers. The main ranch house is inviting and cozy while tastefully decorated with countless conversation pieces and artifacts from owner George’s rich and colorful past and present as a horse breeder, attorney, and active political socialite. Watching the sunset on the deck as the deer graze and crickets serenade is a favorite memory for many. 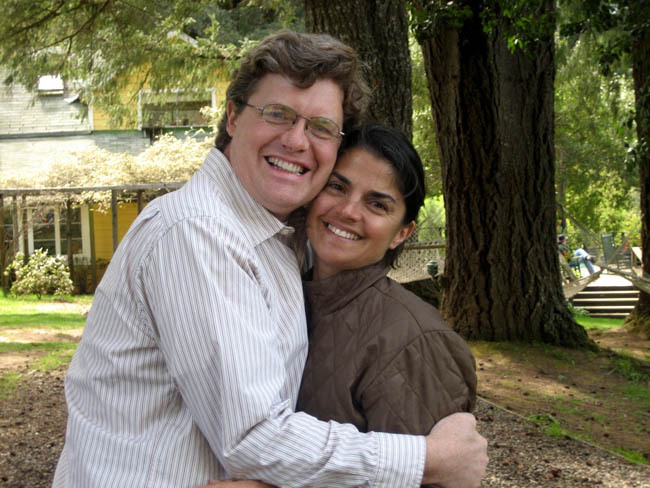 For a truly unsurpassed and memorable guest ranch experience and treasure, Highland Ranch is the first choice. You may even want to visit or camp at Hendy Woods State Park on the way. And just minutes from the gate at Highland Ranch lies a local gem called The Apple Farm, where visitors will be sorry if they don’t stop by to sample the superior local jams, jellies, chutneys, juices, syrups, vinegars, ciders, and fruits from a local family farm. 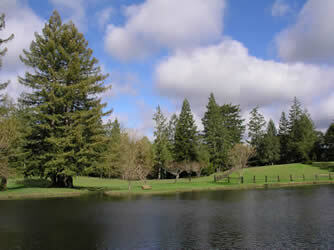 Located between Cloverdale and Mendocino, just outside the charming town of Philo, Highland Ranch, a totally secluded pocket of heaven, peace, wilderness, and tranquility offers visitors from around the world a unique glimpse of the golden state’s unspoiled historic past and riding traditions. While our state is rich with excellent guest ranch travel destinations, Highland Ranch is a cut above the rest and simply put: It doesn’t get any better than this!